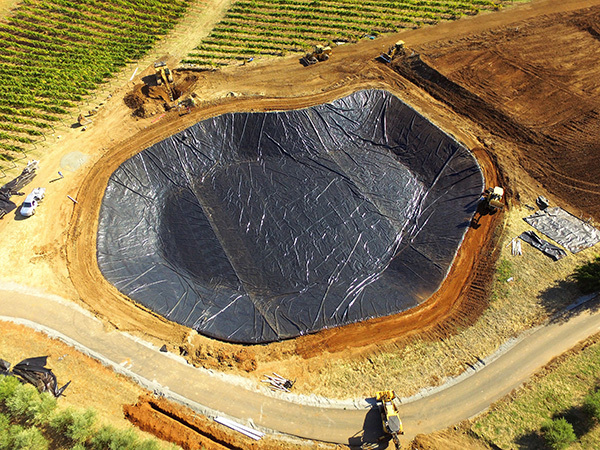 Preformed pond liners are geomembrane liner materials that are pre-welded, most often with heat, in a factory setting. Many of the highest quality geomembrane liner materials are of fairly narrow width, from 5 to 12 feet wide. These geomembrane liner materials are usually made so they can be melted using very high heat. Western Environmental Liner’s specialty is preformed liners. Most pond liner providers do not have factories accessible to them that allow for uniquely sized, preformed liners because of the very high investment needed to preform large pond liners efficiently. Although some liner materials are offered by Western Environmental Liner in unique instances that are not preformed or pre-welded, such as HDPE liner & EPDM liner materials, Western Environmental Liner’s core products can all be preformed in its factories. Examples include RPE, PVC, RPP, & Xr5. Preformed pond liners & other preformed geomembrane liner applications allow for much easier installations and less chance of possible leaks. With Western Environmental Liner’s large manufacturing plants and sophisticated welding machinery, liners can be made affordably and quickly, and with sufficient size for large pond liners. Many liners made for ponds, lakes, canals as well as primary & secondary containment applications can be made in one preformed liner. If additional pieces are needed, welds in the field can be cut down as much as 90%. Western Environmental Liner offers some of the largest and highest quality preformed pond liners in the industry with excellent weld quality. 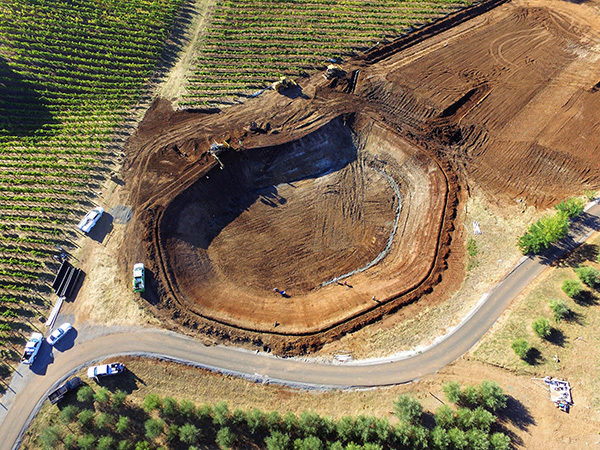 Please contact Western Environmental Liner for your preformed pond liner and other preformed geomembrane liner needs.